It is of utmost importance to keep your domain contact information up to date, it is especially helpful for when you need to transfer your domain name. During a domain transfer, you will be required to confirm the transfer via an email sent to the current registrant email address. In order to check the current registrant email address for a .au domain name, the best way is to run a Whois search on the auDA website here. The Registrant Contact Email will be the current registrant email address. The result should look like the image below. In order to check the current registrant email address for any other domain name, the best way is to run a search via our domain Whois checker, which you can do here. The Registrant Email will be the current registrant email address. The result should look like the image below. This means that the domain you are checking has ID protection enabled. 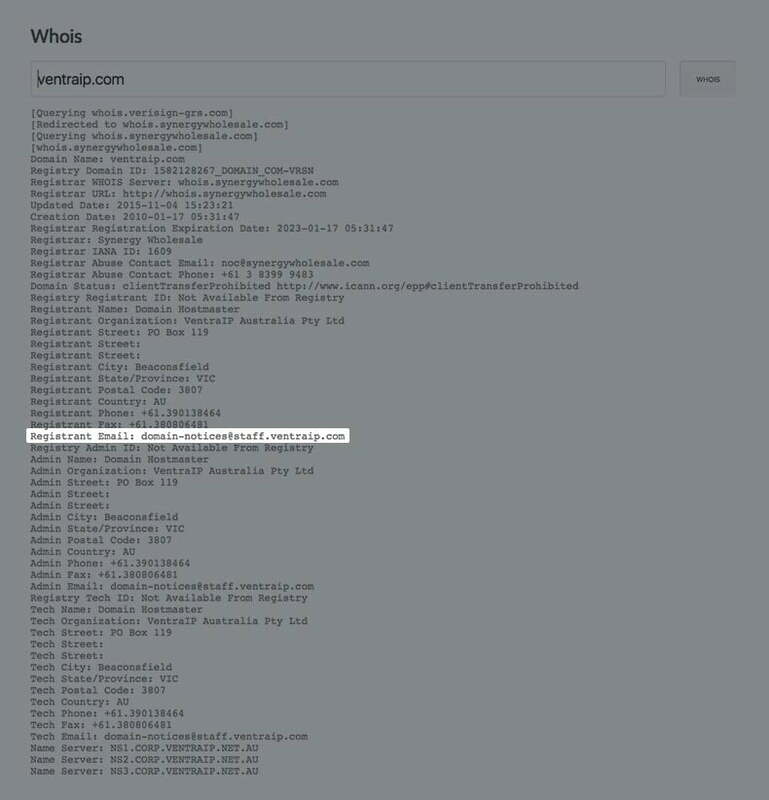 This feature hides information such as the registrants name and email address from public visibility. This strange email address will actually forward email to the current registrant email address. 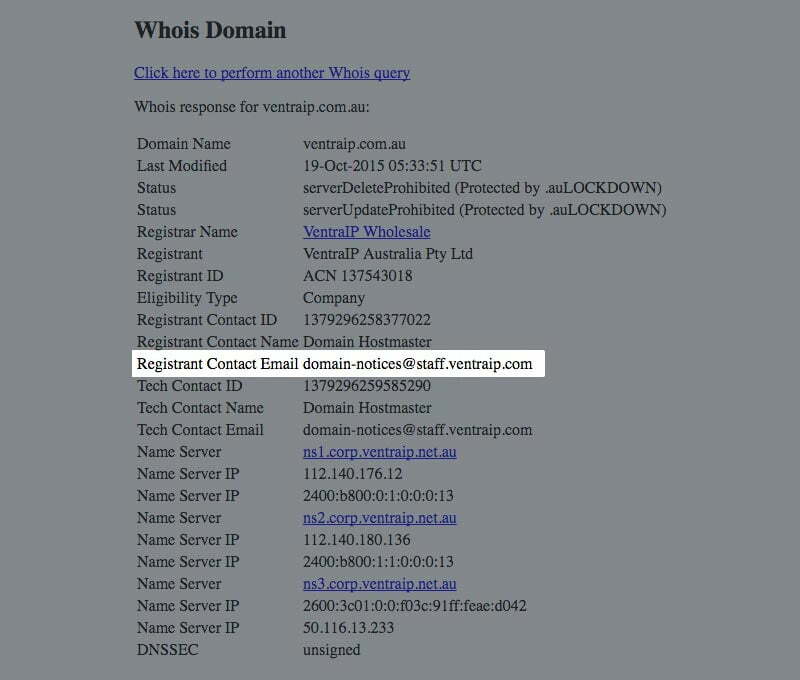 If the domain is with VentraIP Australia, you may log into the relevant VIPControl account, disable ID protection, then once you have verified the registrant email address, you may then re-enable ID protection. Feel free to submit an eTicket via VIPContol or give us a call and our friendly technical support team will assist you.